Every writer, I&apos;d venture to guess, has, at least, one idea for a screenplay. I have a few, including an adaptation of one of soft rock&apos;s greatest hits, Rupert Holmes&apos; "Escape (The Piña Colada Song)." I&apos;ve thought about this a lot, and the biggest hurdle I&apos;d need to overcome is deciding what tone the script should take: a romantic comedy of errors or dark commentary on love and relationships in the Internet Age. Now, as strange as this idea may sound, there is precedent: in 1985, a TV movie version of Barry Manilow&apos;s "Copacabana" was released, and I remember watching it on the WANE-TV late, late show as a kid. It was so cool to see the song come to life - with Manilow as main character Tony, no less. I finally got to see Tony - I mean, Barry - in concert at the Allen County War Memorial Coliseum in 2013, and he&apos;ll be back for "One Last Time!" on Friday, April 22, 2016. 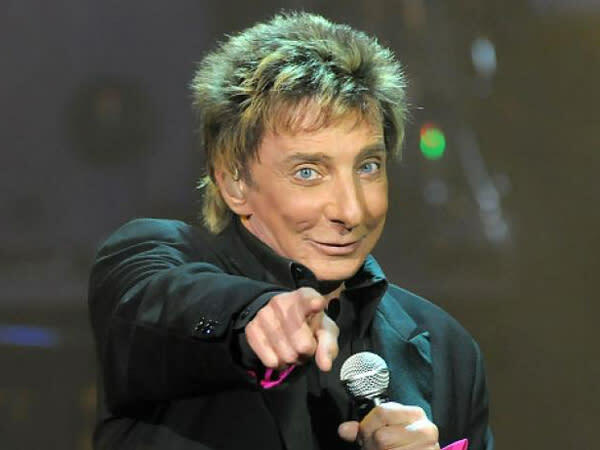 I blogged about Manilow last time he was in town, and I noted how "genuinely, unironically awesome" I thought he was, and my opinion hasn&apos;t changed a bit. More than being a singer/songwriter, he&apos;s a performer. Case in point: he was sick during his last concert here. But a showman knows "the show must go on," and on it did. It wasn&apos;t his finest performance, but he knew a lot of people were there to see him, so he took the stage for as long as he could. I have no doubt he&apos;ll be at the top of his game for this, his purported last tour. "Looks Like We Made It"
I&apos;ve seen a lot of concerts and a lot of my favorite singers and bands. Barry Manilow is one of the few icons I&apos;ve seen live, so I can&apos;t recommend catching this show enough. Tickets are still available and range in price from $17.75 to $167.75 (additional fees may apply). For "One Last Time!" in April, Fort Wayne will be the hottest spot north of Havana.